Many hail the sharing economy as the new economy, but like any economy there are dark sides. What seems so innovative and new may just be the same old taxi company, or car hire firm, operating right on the edges of the law. A great deal of social media activity is based in the language of sharing. We share Instagram photos, we share our location with check-in apps and we share news to all our various feeds. Sharing isn’t all peaches and cream though. Several prominent companies that are part of the sharing economy are coming under fire for sketchy business practices and possible labor violations. Services like Lyft, Uber and Sidecar are all car-sharing companies with apps that connect car-owning drivers to passengers in need of a ride. Lyft and Sidecar once ran on a ‘donations’ model to attempt to ensure payment. The way the California Public Utilities Commission saw things, these services were just trying to sidestep existing taxi company regulations and dodge liability. Now, both services have mandatory pricing like the more established taxi firms. 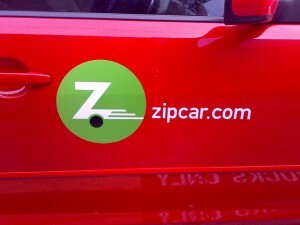 According to Vice contributor Kelly Carlin, the term “sharing economy” has become a misnomer. By attaching the word “sharing” to a service it gives clients a warm fuzzy feeling, like attaching “green” or “all natural.” Carlin calls it ‘sharewashing.’ “Peel back the wrapper and you find that beneath its promised efficiencies and innovations, the sharing economy moniker can sometimes whitewash operations that are tax-shifting, labour-regulation-skirting and tip-stealing,” she writes. There is currently a class action lawsuit in the works against Uber claiming that they are withholding tips because of “Uber’s communication to customers that they do not need to tip.” But in the regular taxi and car service business, tips are entirely customary. Where does liability lie when it comes to an Uber driver, or any other service, when there is an accident? On New Year’s Eve, a six year old was allegedly struck and killed by an Uber driver, while he was off duty. Uber terminated him immediately, and pointed out that he was an independent contractor. As a result, California state authorities have raised the issue of driver training. Many hail the sharing economy as the new economy, but like any economy, there are dark sides. What seems so innovative and new may just be the same old taxi company, or car hire firm, operating right on the edges of the law.